Ten years back, cryosphere-related papers were scattered through EGU publications such as ACP and CP, while at the same time the cryosphere programme at EGU was rapidly growing. 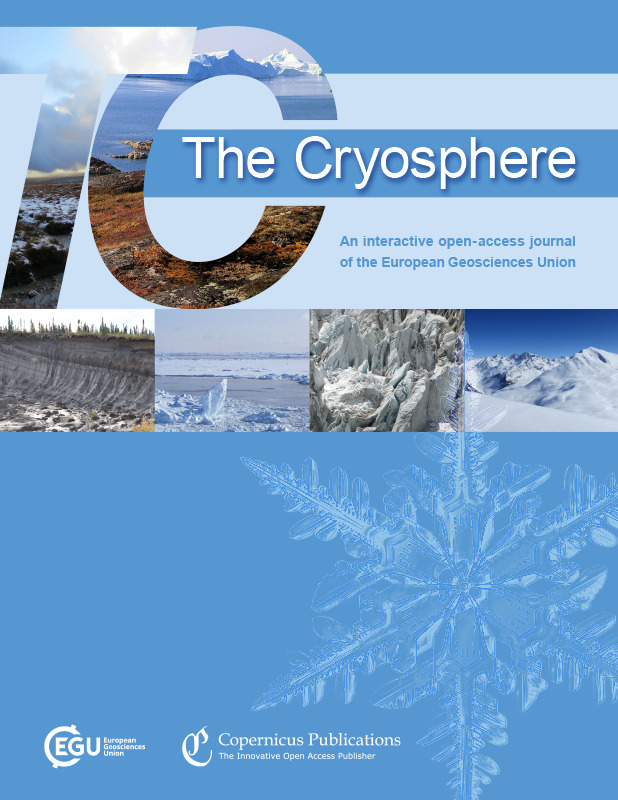 As the existing EGU journals were consolidating their reputation and new ones were being considered, Jonathan Bamber undertook a survey of the community and on the basis of this convinced EGU to launch a cryosphere-focused journal. Authors also had to be convinced to take the risk of submitting their papers to a journal with a possibly uncertain future and, at the time, no guarantee of inclusion in journal databases. The first paper published in the journal was by Olaf Eisen, now co-editor-in-chief of TC. It was on the topic of physical properties of glacial ice in Antarctica. "At that time the immediate appearance and accessibility of the manuscript in the discussion phase to the community along with the open review system seemed very appealing to me," says Olaf Eisen. "It meant that you didn't have to wait for the end of the whole review process, which could take months up to more than a year, for the paper to be visible." It took some efforts to convince his more senior co-authors to take that step, especially because reviews were open to everybody. But in the end this paid off. The first issue also featured papers on permafrost and glacier dynamics, soon followed by papers on snow, sea ice, and planetary ice based on field, remote sensing, or modelling approaches. Today, studies on essentially all aspects of the cryosphere on Earth and other planets are found in The Cryosphere, which has become a leading journal in the field, a success all contributors can be proud of. The EGU Publications Committee and the co-editors-in-chief will celebrate the 10th anniversary of TC during an evening reception, open to all, at the EGU General Assembly 2017 in Vienna, taking place in room G2 (Brown Level – Basement), Thursday, 27th April, 19:00.